Win your complete dessert spread - on us! All of this could be yours - at no cost! Pre-order by 11/15 for your chance to win. 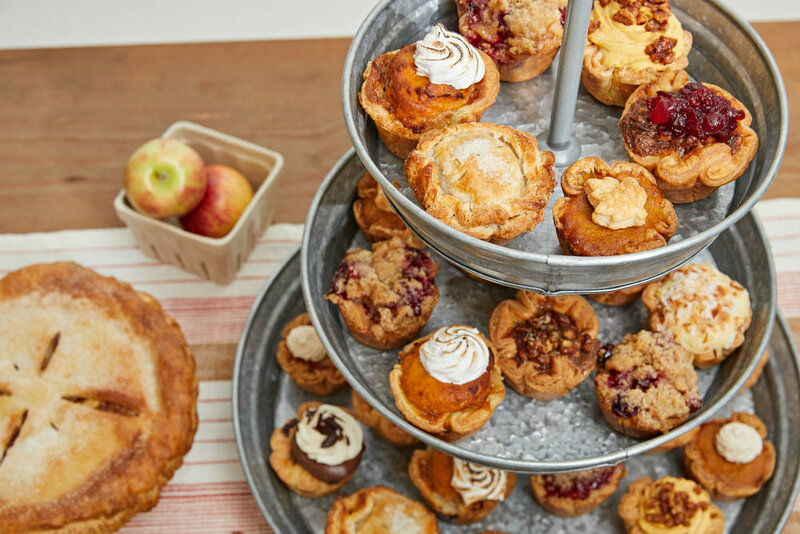 This November, pre-order your Thanksgiving pies through Tiny Pies and be entered to win your complete dessert spread -- on us! Between now and November 15th, each pre-order will be entered into a raffle to receive their full order at no cost. Every $30 reserved equals an additional entry. So what are you waiting for?! Pre-Order now! Contest excluded to US residents 18 years or older who have placed an online pre-order with Tiny Pies on or before Wednesday, November 15, 2017. Winner must be able to pick-up their orders in-person in Austin, Texas by 11/22. If unable to pick up, another winner will be selected among online orders received. No cash value. All sales final. Odds of winning are dependent on the number of entries received at the time of drawing. Winner will be notified by phone on 11/16.